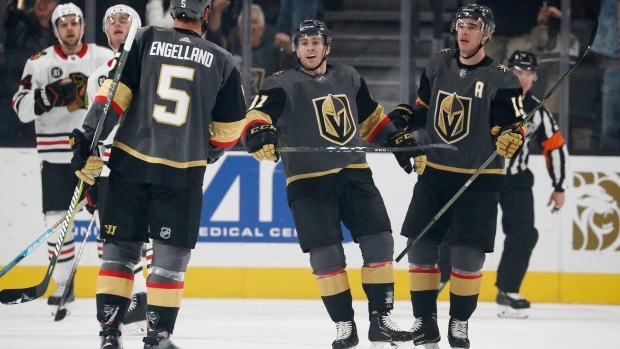 LAS VEGAS — Two days after beating the Stanley Cup champion Washington Capitals for their biggest win of the season, the Vegas Golden Knights weren't about to let themselves slip up against slumping Chicago. Vegas' game-winning goal didn't come without controversy, though, as Chicago coach Jeremy Colliton challenged for goaltender interference. A video review determined Max Pacioretty was forced into Crawford by Blackhawks defenceman Brandon Manning while he backhanded the puck to Tuch, who slipped it through Crawford's legs.